By the time of his death in 1725 Peter the Great had placed Russia among the foremost European powers, and had created a military system that has infuenced the European balance of power until the present day. 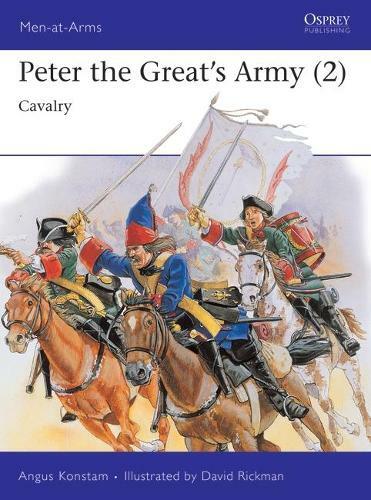 In this companion volume to Men-at-Arms 260, Peter the Great's Army 1: Infantry, Angus Konstam discusses Tsar Peter's cavalry, both the regular troops and irregular forces such as the Cossacks, exploring their composition and effectiveness, and also outlines the development of the Russian train of artillery. The Author's text is complemented by a multitude of illustrations and photographs, including eight full page colour plates by David Rickman.